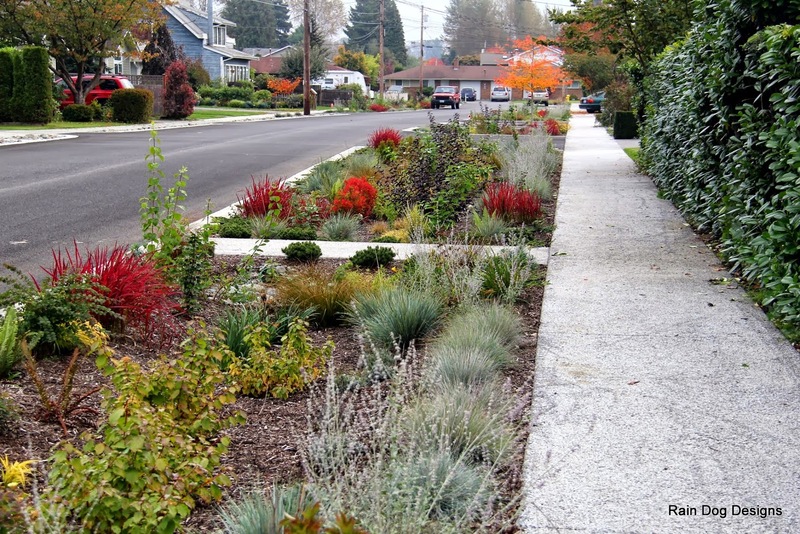 The story begins in spring 2009 when neighbors at one end of the 900 block, 8th Ave NW in Puyallup, took the City up on an offer to install free rain gardens in their yards. 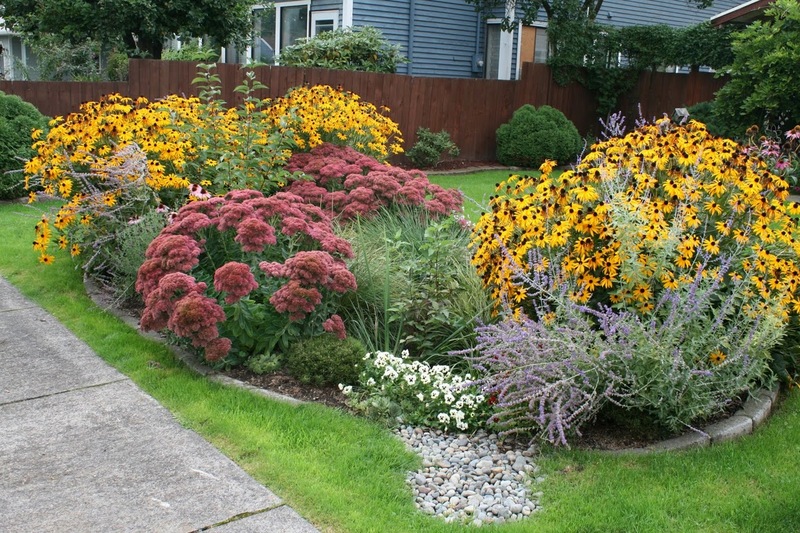 These are attractive landscaping systems that double as protection for the nearby Puyallup River. They infiltrate rain water that would otherwise pick up pollutants from roads and driveways. 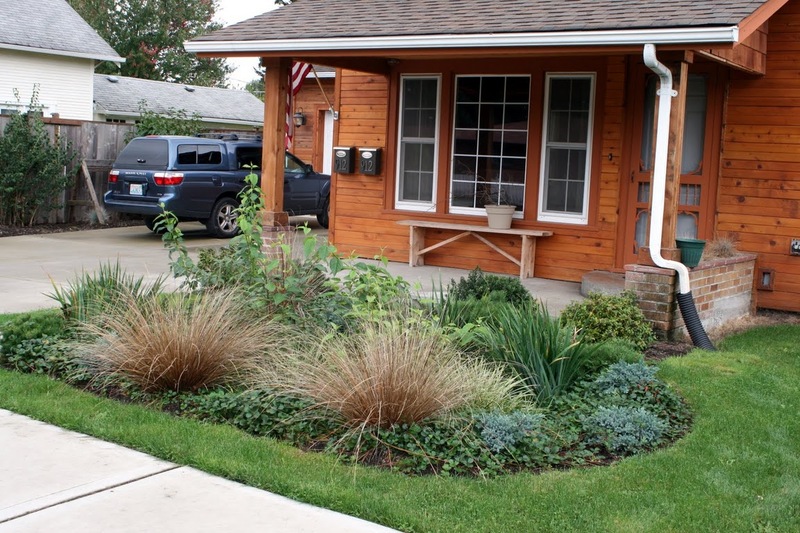 Determined neighbors installed seven rain gardens with a lot of community support. Ciscoe Morris, our NW garden guru, joined the fun broadcasting a live Gardening with Ciscoe show on the block during the community planting event in August 2009. 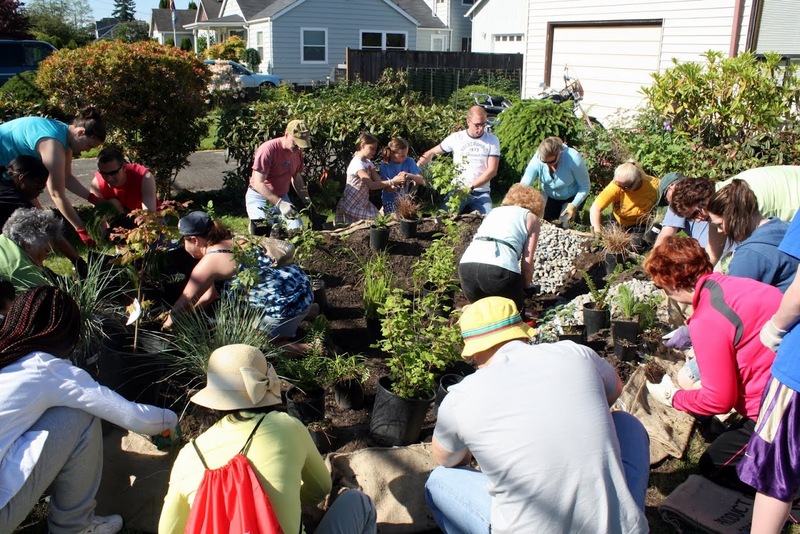 The City Public Affairs office published this video of the planting action, and KING 5 News interviewed homeowners and posted this story the following year. 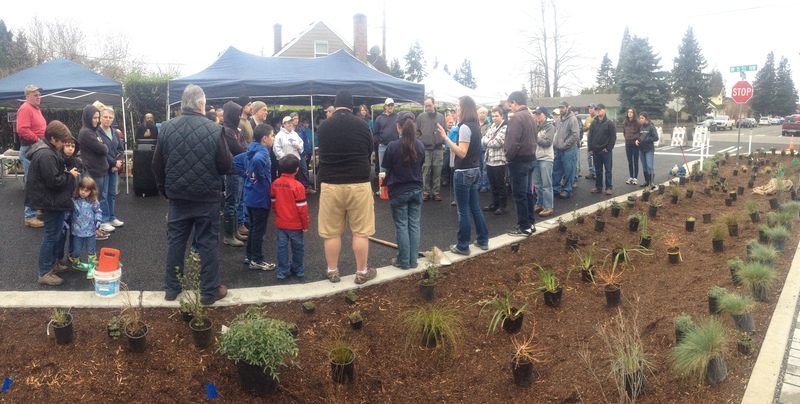 The neighborhood so enthusiastically supports managing their own rain water that they installed 13 more rain gardens. This included two at nearby Karshner Elementary School on one end of a three block stretch, and one very large rain garden at the 6-unit apartment building on the other end. This Old House Magazine was also inspired to support rain gardens. 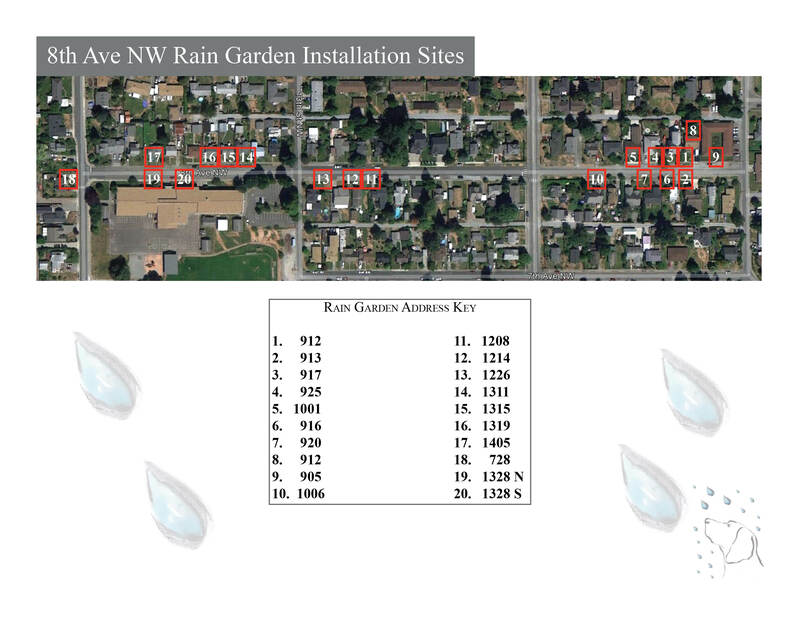 Writers and staff created an amazing story of the 8th Ave project in their September 2011 print edition and an equally amazing series of online rain garden resource pages. Click on the map below. 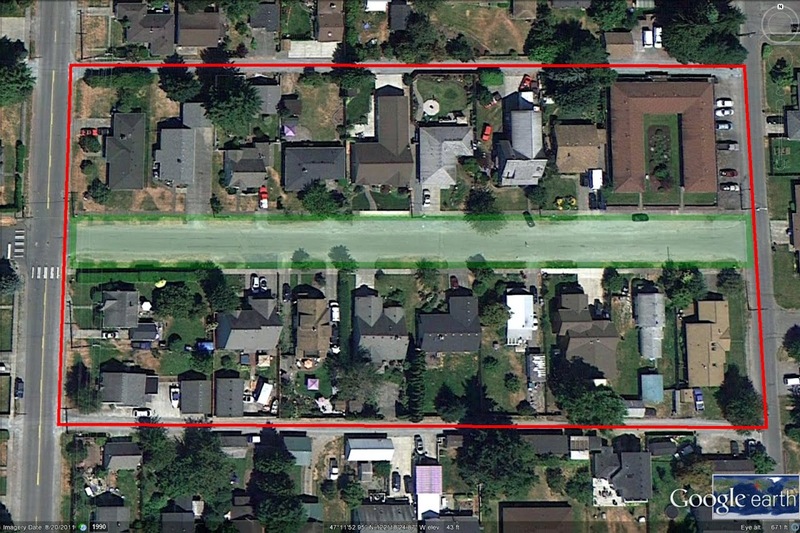 In 2014 the City plans to construct pervious asphalt alleys along the horizontal red lines at the top and bottom of the photo below. 8th Ave neighbors and volunteers planted the roadside rain gardens as part of a community event Saturday, March 16, 2013.